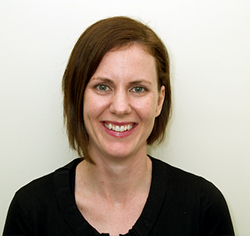 Dr Laura Bullock [MBBS, FRACGP] graduated from Adelaide University in 2008. She enjoys the ongoing relationship she has with patients in general practice. She has particular interest in women’s health, sexual health and children’s health. She also enjoys working with patients in preventative health care. In her spare time she loves spending time with her young daughter, hiking, travel and sewing. Dr Bullock is currently on maternity leave till June 2019. Moreland West Medical Centre – your Brunswick GP. Serving the areas of Brunswick, West Brunswick, Pascoe Vale, Coburg, Moonee Ponds, Essendon, and beyond. For all urgent after hours care, please contact National Home Doctor – 13 7425. Find us on Facebook - like us and share us with family and friends.